Stop loss strategy will be different for every investor depending on the risk appetite. An investment plan or an investment strategy is the blueprint one uses in the stock market to make profits while trading considering one’s investment needs, risk appetite, market behavior, and investor sentiments. However, an investment strategy is incomplete without a stop-loss strategy. The main aim of a trade is to book profits but at the same time, if your decision goes wrong, protecting your capital and limiting your losses becomes your first criteria. Stops are calculated at pre-determined price levels where the investor chooses to exit the position of stocks to restrict the losses to an absolute limit. When the stock price hits the stop loss price, the order is executed, and the stock is automatically sold at that price bearing certain loss thus limiting losses in case the price further goes down and protecting the capital from reducing and defeating the primary aim of trading. Stop loss orders work well as they define the losses beforehand and the loss is in bearable limits for the investor. The main challenge in here lies to decide the placement of the stop. Stop loss strategy will be different for every investor depending on the risk appetite. Choosing the point beyond which one cannot bear more loss is more of a personal approach, but we have a few followed recommendations that can be helpful. First, the higher you are entering the stock, the closer should be the stop placement. It is because, at higher levels, the risk of market correction increases and the stock is more likely to take a dip to the justified levels as the market reacts to new developments. Whereas at lower entry points, the risk of a dip is less unless an unfortunate event occurs. Second, the ATR (Average True Range) stop method provides information on the volatility of the market which helps in better placement of stops. An ATR gives the projected price range of an asset by averaging the past highs and lows over a chosen time frame. 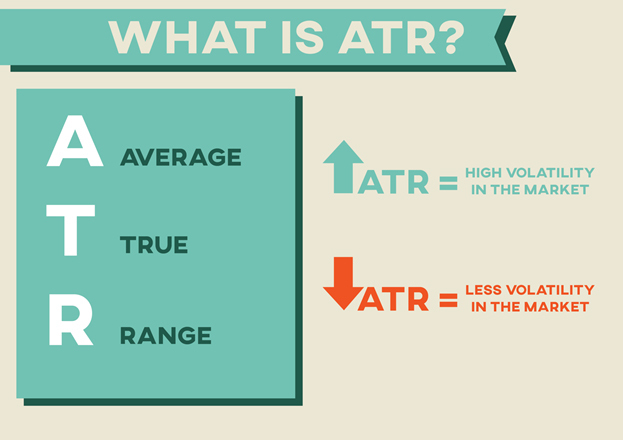 A high ATR value signifies high volatility in the market, while a lower ATR indicates a less volatile market. In a higher volatile market you can take wide stops to avoid selling of the stock on account of regular unpredictable movements, whereas, in low volatile markets, the stops should be placed closer to the entry point as a fall cannot be accounted for volatile changes. As a third strategy for better stop placements to reduce losses, one should regularly monitor the market conditions, and place dynamic stops. Dynamic stops or trailing stops are stops that change their value based on the movement of the price of the stock. Once the share price has moved up, the stop can also be transferred to follow the price, thus reducing losses while assuring a guaranteed profit or even a break even. If the stock price goes further in the favorable direction, the stop can also be moved in the same direction, thus increasing the assured profit. Stop loss strategy plays a crucial role in a trading plan and can make or break the trade results up to a certain extent.